The Porcupine’s Quill | Book Listing | See What I'm Saying? In See What I’m Saying? 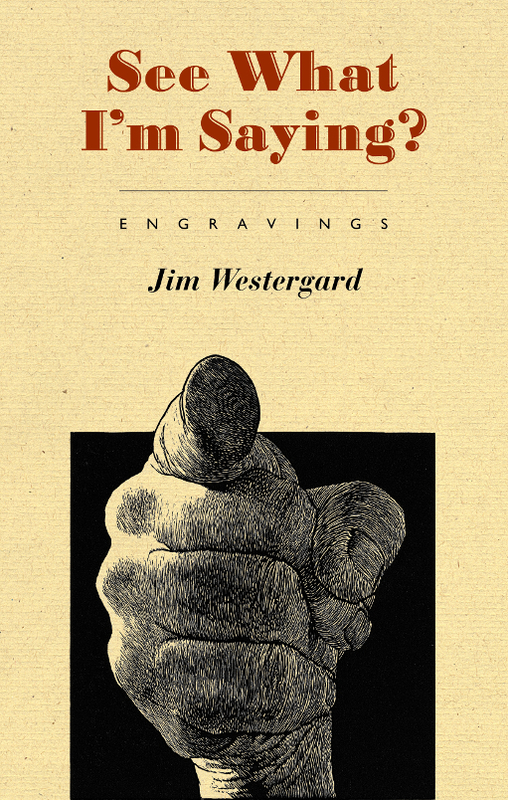 wood engraver Jim Westergard puts his artistic talents—and his wicked sense of humour—into play with equal effect, offering a series of visual interpretations of some of the more quirky words and phrases that pepper the English language. Human beings rarely say exactly what they mean. The English language has evolved to embrace a dizzying array of linguistic tools that invite playful minds to introduce ambiguity and innuendo—and hilarity—into common parlance. In See What I’m Saying? Jim Westergard does just that, illustrating idioms with a series of exquisitely detailed engravings. Through these images, Westergard will insist you ‘keep an open mind’ and admonish you not to ‘turn a blind eye’ to the origin and evolution of colloquialisms. His visual interpretations are truly as ‘rare as hens’ teeth’, as he might suggest himself—or he’ll be ‘a monkey’s uncle’. 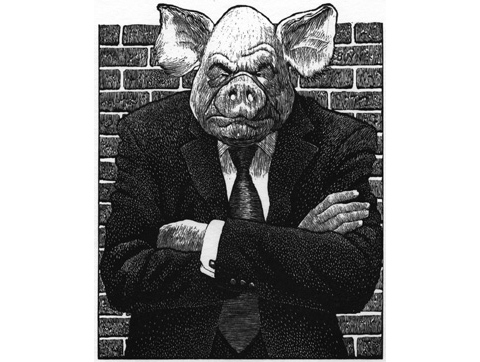 A person who is called ‘pig-headed’ is stubborn and contrary, doesn’t co-operate, is inflexible and won’t listen to reason. A bull-headed person and a pig-headed person, together, would make for a very entertaining barnyard. Jim Westergard was born in Ogden, Utah in 1939. He was educated at a variety of colleges and universities in California, Arizona and Utah where he completed his BFA and MFA at Utah State. Westergard taught at Metropolitan State College and Northern Illinois University before moving to Alberta in 1975, where he taught at Red Deer College until his retirement in 1999. He became a Canadian citizen in 1980. Westergard continues to create wood engravings on his cantankerous old VanderCook SP-15 proof press which he has affectionately named the ’Spanish Fly’. 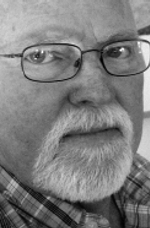 His recent titles include Oddballs (Porcupine’s Quill, 2015) and See What I’m Saying? (Porcupine’s Quill, 2018).